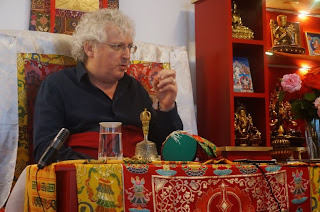 Lama Jampa Thaye visited Sakya Dechen Ling, Stuttgart on the weekend of 29-30 June. During this time he continued to teach the 'Telescope of Wisdom', Karma Thinley Rinpoche's commentary on Nagarjuna's Friendly Letter, and bestowed the initiation of Namgyalma from the collection of The 100 Sadhanas of Bari Lotsawa. 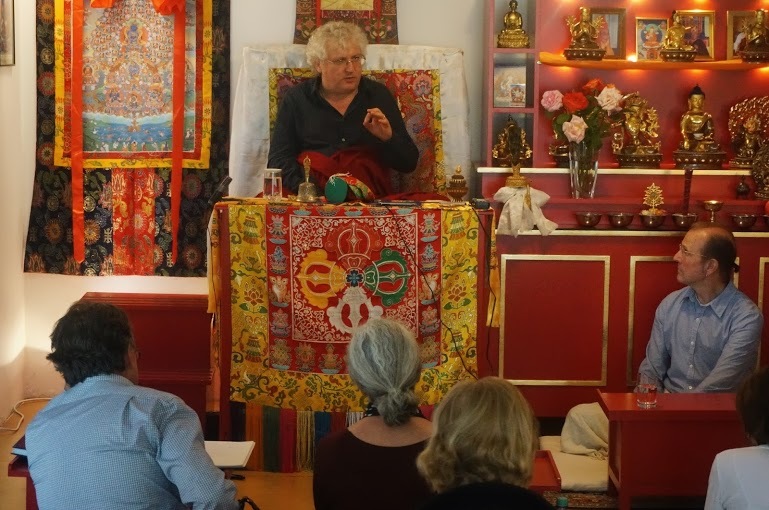 The next visit of Lama Jampa to Sakya Dechen Ling will be on the weekend of 5-6 October.